Traditionally Pact highlights some of the most prominent developments in and affecting Belarus civil society. In 2015, Lukashenko signed a decree imposing a “social parasite tax” on Belarusians without legitimate employment. The entrance of the decree into force resulted in the mass civic reaction in the form of peaceful public protest in February-March 2017. Thousands of people protested the new law, which resulted in mass detentions (described below) but also in the suspension of the decree until 2019. Having started in March 2017, the BY_help campaign (Yulia Darashkevich, Lyaksei Lyavonchyk and Andrey Stryzhak) raised $55,000 from private and corporate sources inside and outside of Belarus to financially help Belarusians and their families who suffered as a result of the March public protests, the White Legion case and other. Top government officials are becoming ordinary participants at civil society events few examples of which are Minsk Dialogue conferences, Kastrycnicki Economic Forum, Global Entrepreneurship Week. Discussion of Belarus’ Universal Periodic Review to the UN Human Rights Committee, Civil Society Parallel Forum on the foot of the 26 annual sessions of the OSCE PA in Minsk, and expert consultations on the national human rights plan are indicative of the dialogue spirit. Wishful thinking or reality? Having convened in Kaunas and Warsaw for the last seven years, the organizers of the International Congress of Belarusian Studies – Political Sphere – announce (tentatively) that the 8th congregation will take place in Minsk, Belarus. Preliminary dates are September 27-29, 2018. Main academic partner of the Congress is the National Academy of Science of Belarus. Pack your bags for Minsk! 2017 was marked by a number of victories by civic activists to protect landmark site in Minsk. Two-week defence of Kurapaty mass executions site has led to investor’s abandonment of construction works. A public park in the Kotovka district of Minsk was saved by local community activists Tiananmane square’s Tank Man-style. Local residents of Osmolovka historical area of Minsk succeeded in the freezing of city’s demolition plans for the area. Social Weekend celebrated its 10th consecutive open national competition for social projects to get local funding from both individual philanthropists and corporations. The competition is held consistently since 2013, since which time Social Weekend raised over $150,000 to support over 150 projects from among more than 1,400 applicants. 34mag.net youth online magazine lead public communication to aid grassroots activism in 2017: simple-language articles helped local leaders break down public communication, guided them through how to organize a public event or an educational intervention, and showcased successful student initiatives in Belarus. Read up! Civic Transport of the Year: Bicycle for Everyone! Cycling activists were among most organized and visible civic actors in 2017, while the number of bicycles in Minsk is approaching the number of cars. Viva Rovar! Carnival gathered together over 15,000 bicycle enthusiasts, while the II International Cycling Festival and PraRovar Forum raised the cycling agenda to the public spotlight further. Belarusian regions were also active: more than 700 cyclists joined the Susedzi 2017 bike marathon in Grodno and Brest held its Vezdevelom international bike festival. Get on a bike when in Belarus, even if it is made of wood! Circumstances and media brought anxiety to Belarus ahead of the joint Russian-Belarus military exercise called Zapad-2017. Civil society played an important role in providing civic monitoring, alternative view points and analysis of possible scenarios. Despite the scare, Belarus wasn’t occupied. The government of Belarus was the main – yet controversial – newsmaker of the year. Having opened up its borders and having cancelled visas for nationals of over 80 countries, GoB used force to disperse mass peaceful protests in the country detaining over 900 people. Authorities eventually closed the notorious White Legion case, although the trial of three Regnum authors continues. Minsk hosted the 26th session of the OSCE Parliamentary Assembly while suspending reforms-related talks with the IMF. Lukashenko legalized cryptocurrencies and approved a decree to arguably further ease doing business in Belarus, while the social parasite tax legislation is still on the table. Artiom Shraibman discusses what is wrong with the reaction of Minsk to the anti-Belarusian propaganda. KAS releases a brochure to discuss how civil society can promote transformation in Eastern Europe. A new report of the Centre for Strategic and Foreign Policy Studies calls the changes in Belarus’ economic policy as ‘silent reforms’. 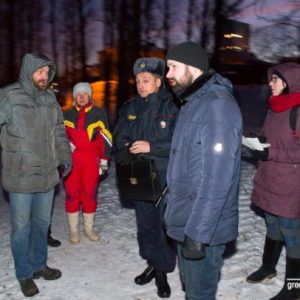 Belarus in Focus: civic initiatives successfully negotiate local agenda with the authorities. BEROC fresh study: absolute poverty in Belarus has doubled and reached 29% of the population. Forecast-2018: natural acceleration of the Belarusian economy in 2018 will not happen. Off Target. 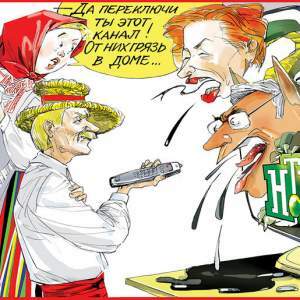 What is Wrong With the Reaction of Minsk To the Anti-Belarusian Propaganda – Artiom Shraibman, TUT.BY, analyses the reaction of the state Belarusian media to the Russian NTV channel programme that discussed the desire of Belarus to improve relations with the EU. The journalist notes that the inability to behave adequately in the world of modern information wars is the main flaw of the Belarusian ideological apparatus. Officials Pretend to Be Civic Activists to Pump Money From the West (video) – Belsat TV program raises the issue that the Belarusian state creates governmental NGOs in order to receive European grants. The program highlights a number of cases when citizens themselves solve serious issues, although officials should do this. Counterbalancing the State: How Can Civil Society Promote Transformation? – The articles in the brochure are based on the contributions from civil society experts during the closing event of a large-scale EU-funded project in support of civil society in Eastern Europe implemented by KAS. In Belarus section, it is noted that given the difficult economic situation and increasing tensions in relations with Russia, Belarus’ rapprochement towards the EU provides a small window of opportunity for CS activity. Belarusian Economy: Achievements and Limits Of ‘Silent Reforms’ 2015-2017 – A new report of the Centre for Strategic and Foreign Policy Studies summarises the changes that have occurred in the economic policy of Belarus since 2014. The authors believe that while the authorities preserved the conservative-populist rhetoric, the period was marked by many important transformations in the Belarusian economy, which can be called ‘silent reforms’. Determinants of Poverty in the Period of Economic Growth and Its Absence. Assessment Of Dynamics of Poverty in Belarus in 2009-2016 – In its recent study, the BEROC Research Centre estimates the level of poverty based on consumer spending. The key conclusion is that over the past two years, absolute poverty in Belarus has doubled and reached 29% of the population. Forecast-2018: Stagnation, Devaluation Or a Bright Future – Naviny.by sums up the economic results of the year, conclude that the natural acceleration of the Belarusian economy in 2018 will not happen. This is possible using an artificial way. However, the Belarusian authorities have very limited opportunities to use the administrative resource for this. How to reform the Belarusian regions. The Ideaby team presents a landing page dedicated to the critical situation in the Belarusians regions and discussion of the ways of their recovery through conducting comprehensive reforms. Barriers and Drivers of Women’s Entrepreneurship in Belarus. The study is based on the number of interviews with female entrepreneurs and top managers of Belarusian companies. During the interviews, the authors identified four groups of factors that prevent women from starting up or developing their businesses. These barriers include the social pressure and family responsibilities; gaps in education; lack of managerial experience and strategic orientation; general challenges of the entrepreneurial ecosystem and macroeconomic instability. The authors propose recommendations to stimulate female participation in business, which include: the introduction of new role models; development of the infrastructure for women’s work-family balance; promotion of academic and business education which takes into account gender-specific needs; financial and information support as well as initiatives to develop social capital. Influence of the Legal and Judicial System on Doing Business in Belarus. The paper analyses the impact of judicial environment on business development in Belarus. The analysis is based on the data from the survey of small and medium business and a series of interviews with experts in the legal sphere. In particular, the study focuses on the risks stemming from the legislation and law enforcement practices, which pose a certain threat to businessmen both in the short and long term. Separately, the paper studies the experience of participation of businessmen in court proceedings, their trust in courts and their assessment of the quality of protection by the judiciary, as well as the level of understanding of procedural features.